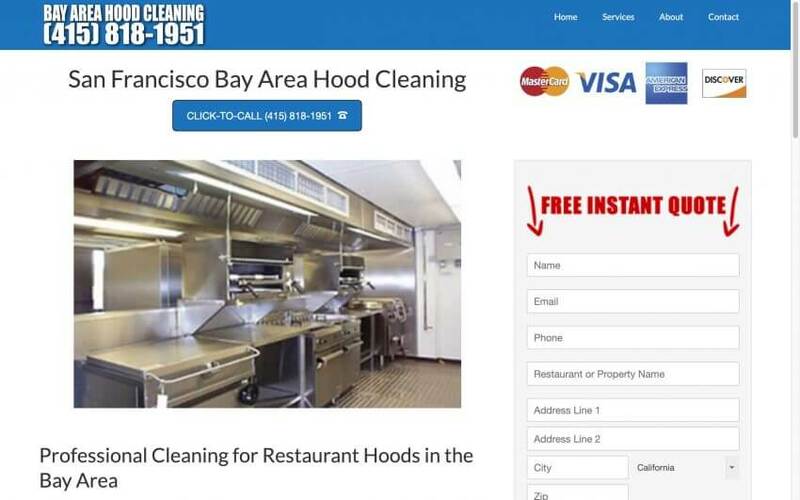 With all of the restaurants in the San Francisco Bay Area, we decided to launch one of our hood cleaning sites. Our goal is to work with a reputable hood cleaning company who wants the leads we provide. We have a proven record of building hood cleaning websites and changing our clients lives for the better.